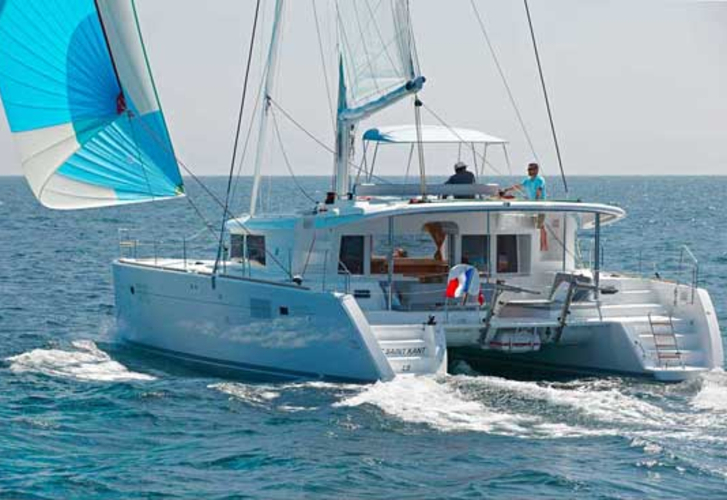 In 2012 has been built vessel Lagoon 450 called PHOENIX. 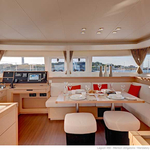 This yacht is available from harbor Lavrion in the surrounding area of Athens in Greece. 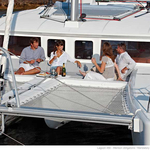 You can board up to 10 persons on the sailboat PHOENIX. Scheme of sleeping places is 10. 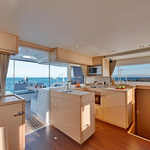 There are 4 cabins placed below yacht's deck. PHOENIX has 4 toilettes with showers. 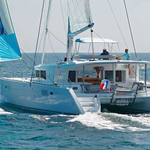 Use our search engine to find our offer under this link: Catamarans Athens. 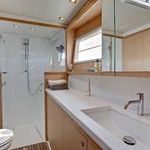 Fuel tank is 2 x 500 l liters big , water tank has up to 4 x 175 l liters. In this vessel is installed motor Yanmar 2 x 54 hp. 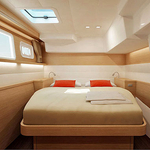 With 13.00 meters of lenght overall and 7,84 m of beam PHOENIX provides enough space for comfortable sailing. Deposit there is 3500.00 EUR. 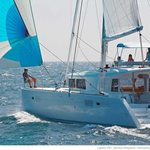 Use our website to find more offers by navigating to the section Catamarans Lavrion.